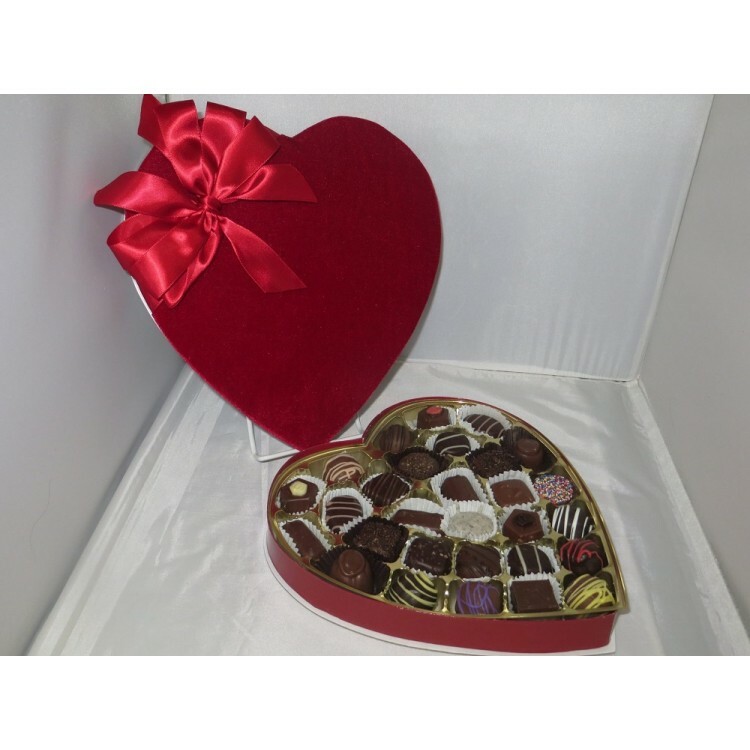 Our Heart Box Assortment contains Fine Chocolates, Caramels and Truffles. Starting at $13.99 for a 1/2 lb box. As shown in picture is 1lb Heart box. Also available in 2 lbs Hearts. Select box size when ordering.